We have launched our Sustainable Future 2018 e-brochure, a 56-page document that brings together all the work the business undertakes for a more sustainable future in the catering and hospitality industry. 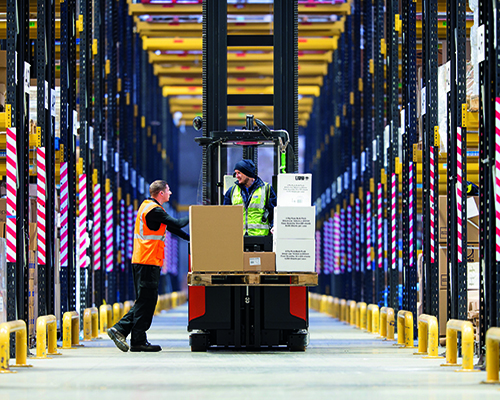 Forming a key part of our communication strategy, the Sustainable Future e-brochure celebrates success-to-date and shares our new business environmental targets in line with the United Nations Sustainable Development Goals (SDGs). In 2018, the Sustainable Future programme was underpinned by a long-term objective to deliver SDG targets, which provide a clear and measurable path for continual environmental improvement up to and beyond 2020. The business is building a strategy to deliver targets on SDG goals: good health and wellbeing (3), responsible consumption and procurement (12), climate action (13), life below water (14) and life on land (15). 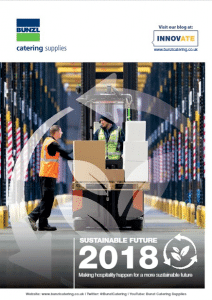 Working together with our people, customers and suppliers, we are an active supporter of positive change in the catering and hospitality industry. 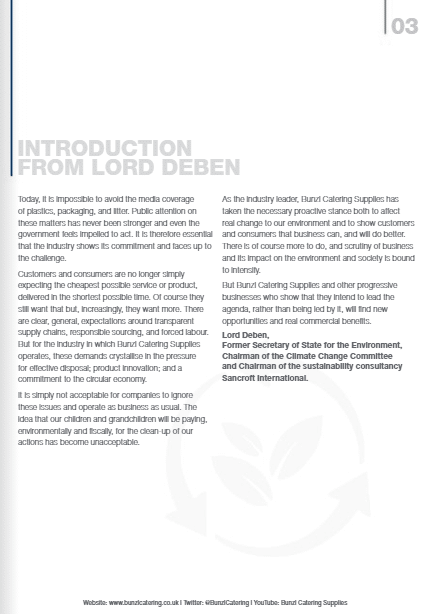 In October 2017, we collaborated with 13 other fully funding signatories from across the supply chain for disposable paper cups, to sign an agreement with the Alliance for Beverage Cartons and the Environment (ACE UK) to increase PE lined paper cup recycling. 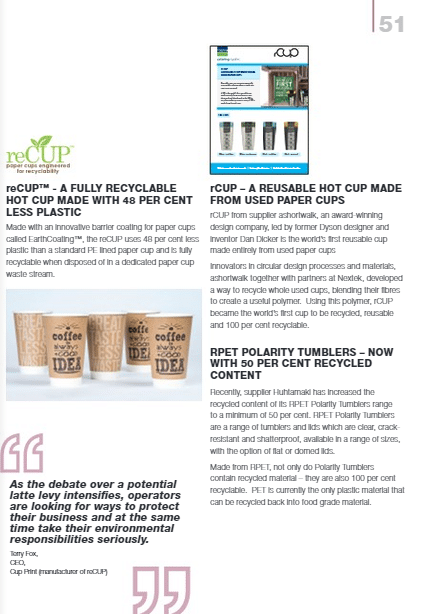 As result of this agreement, the UK now has 12 national waste providers offering a paper cup collection service. 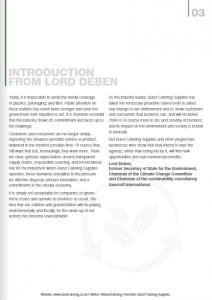 We have also worked closely with our customers to understand their plastic packaging footprint and to take beneficial action to reduce its environmental impact. 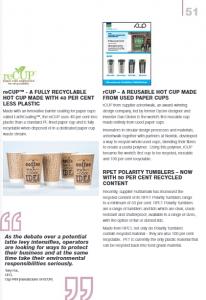 The business has been instrumental in helping customers achieve this by recommending alternative materials types and consolidating ranges to either fully recyclable or compostable materials. For our national customers, the business held its first Sustainable Future Customer Forum, a collaborative platform that helps customers better understand current industry debate on sustainability and provides an open forum for discussion. To view the Sustainable Future 2018 e-brochure online please click here.